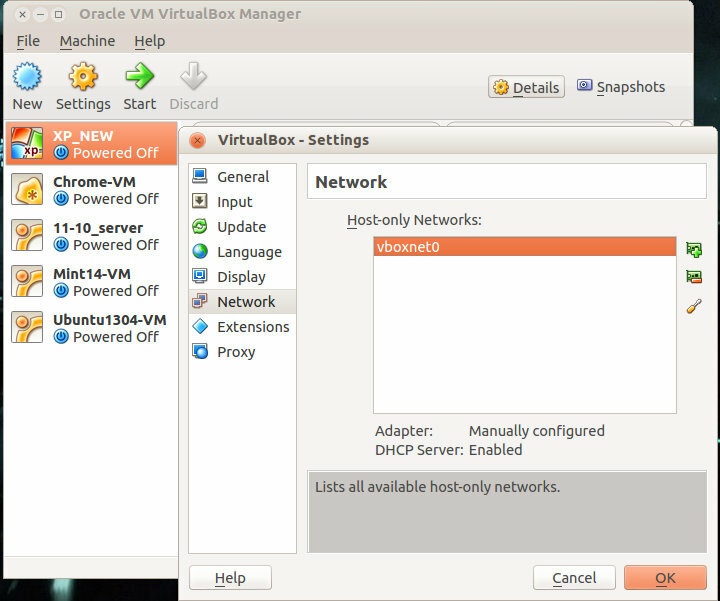 You will see an empty white box with "Host-only Networks" at the top. To the right are three buttons to manage them. Click the topmost network adapter icon with a green 'plus' symbol. A new Host-only network will be created and added to the list - this is generally named vboxnet0 by the installer but it could be anything. Thank you! with this information I can solved my problem. I got the following message after pressing the green plus symbol. "Failed to create the host-only network interface".